It’s 1965 and you’re in the grandstands at the Grand American race in Long Beach. Heat is kicking off the asphalt and sun is burning into your retinas. You hold a newspaper over your eyes to block the glare. What the hell is that coming up to the starting line? It looks like a midget delivery truck, red and covered with decals. Is it here to collect debris? You can’t believe what you’re seeing. This little red wagon wants to race! The lights go green and the driver stomps on the accelerator. BOOM! The little red wagon blasts off the starting line with its nose in the air, full wheely. That wheely sure as hell isn’t slowing it down. It rips through the quarter mile in 11 seconds at 120 mph. You’re on your feet. You’re roaring. You can’t wait to see the little red wagon line’em up again. You weren’t the only one to get jacked-up about the little guy that day. The Little Red Wagon gave birth to the wheelstanding era. It said (bleep) you to I think I can, I think I can and became an instant hot rod classic. The 60’s were a time of extreme experimentation for drag racing. Chrysler wanted to sell more pick-ups and saw a chance for symbiosis. Using the A100 model as a jumping off point Jim Schaffer and John Collier made the adjustments needed to fit a 426 HEMI in the bed just behind the cabin. They wanted a fast truck. The fact that they ended up with a wheely popping red devil was just a happy accident. One they didn’t discover until legendary driver Bill “Maverick” Golden got behind the wheel to film a commercial. The Little Red Wagon gave him a two-wheel thrill ride. Maverick fabricated a brake system that let him steer while the wheels were high. He hit the the road starting in Long Beach. Everyone develops their passion for muscle car restoration for different reasons and from wide-ranging inspirations. For some, it was that chase scene in a classic action-packed movie or the teen idol they looked up to growing up. For others, it was a love handed down by their fathers or simply an innate instinct perked by the rumble of a perfectly tuned engine. We all took that spark, let is develop into something more and built our own identities around it: Chevy man, Ford guy, Camaro fanatic or Mustang aficionado. Have anonymity: You can build your muscle car dream project but you can never tell or show a soul. No car is off limits; Shelby GT500KR, Olds 442, Dodge Charger; the choice is all yours. Starting with a rusted frame and a mess of an engine block, you prep and pamper until that baby shines. You take it out of the garage and rip it through windy mountain roads. It rumbles and roars and you want the world to see your masterpiece. But the world never will. The roads will always be empty. Anti-Climax: You can build a string of legendary muscle car restorations, but you can never drive them. You are the host of a popular TV show. Muscle car enthusiasts across the country tune in week in and week out to see your handywork and to pay homage to the king. You rebuild cars for billionaires and dignitaries. You are lauded and revered. But when each project is finished, you have to turn over keys without ever turning over the engine. This is your curse. Send us your answer in the comments! Click through to learn about some of the premier muscle car restoration services available in Los Angeles. To Kit or Not to Kit? In a perfect muscle car restoration world, there would be no kit cars. Everything would be all original and every enthusiast would drive their dream with pride; elbow jutting out the window and sunglasses blocking the glare of a sun drenched open road. Unfortunately for car lovers, not everyone has the cash to pull that off, and not every auto restoration projects are bound for Barrett-Jackson big bucks. When the question to kit or not to kit comes up, you simply have to do the math and determine what is realistic in your financial world and what other resources are available to you. If all original isn’t affordable or tracking down the parts is downright impossible—kit it. We won’t tell. Kits for this legendary vehicle are readily available in a variety of stages, all the way from bits and pieces to fully assembled. Please don’t shell out the cash for a fully assembled kit, you will break our muscle car lov’n hearts—it’s truly not necessary. If you don’t like it, blame Nicolas Cage. The fact of the matter is this kit is popular all across the globe. If you have the engine and the frame, the body essentials will only run you about 8k. If you want the whole shebang, expect to spend upwards from 40k. The early Corvettes are undeniably gorgeous and extremely popular. Deep down, we hope you don’t do this, but if you want to be a miser, kits that fit onto the frame of a Fiero or Miata are available. But come on, you’ll always know that you’re sitting on an itty bitty Mazda. Realistic kits cost 20k plus, but with them comes pride. Click through to learn more about our muscle car restoration services. Considered just as American as baseball and apple pie, all hot rods start with something old. ut did you know that the sports surrounding them are almost one hundred years old? While many associate drag racing and cruising with the grease monkeys of the 1950s, the sports actually predate the Second World War. 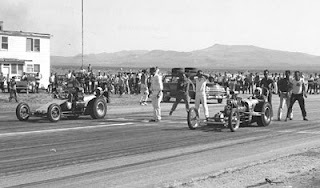 Bored and broke teens in Southern California started buying up old Model T frames and souping them up to race in the dry lake beds north of the city. Street racing was also prevalent in the late 20’s and into the 30’s, but the desert lake beds are where the community and the movement really took root. Plus, during the Great Depression, new cars were too expensive, so many teens and young adults refurbished old cars from junk yards and swapped out their engines to build their own self-styled hot rods. They also stripped away heavy, unnecessary components to make them lighter and faster. While hot rods have evolved significantly over the years, most of the cars from the old school days that were churning up dust were four-cylinder Ford Model Ts and Model As. They were cheap and easy to get, lightweight and easy to boost up. Simple fixes like higher compression and timing adjustments made for big speed increases. And, of course, the even simpler speed fix—strip off EVERYTHING you don’t need. Today hot rod culture is a national obsession. Those old Model T and Model A, Ford’s are still top choices. Imagine the looks today’s rides would get from those desert racing Southern California teens! Hot rod culture is still alive and well in Southern California. Look no further than our full service restoration garage to see the amazing work being done by Southland enthusiasts! Visit this link for more information on our full service restoration garage. The 1964 Pontiac GTO is the very essence of what American muscle cars are all about. It dominated the market throughout the 1960s and 1970s and was considered to be one of the first mass-produced muscle cars. The GTO blazed the trail for countless future hot rod restoration projects. To this day, it continues to be one of the most influential vehicles ever developed. The 1964 GTO was so popular, in fact, that GM sold 6 times as many cars as predicted within the first six months. Demand far exceeded production capacity, which further added to the mystique of the vehicle. This demand came from a combination of low retail price and rave reviews in magazines. According to Car and Driver, the GTO was “virtually as good as the Ferrari GTO”. This is where Los Angeles car restoration shops like Brauns really shine. There are countless variations of the GTO on the market as hot rod enthusiasts have had decades to improve and upgrade their vehicles. Also, its legacy still lives on today with the recently released GTO models. This is one vehicle that has stood the test of time, and for good reason. For information about the best Los Angeles car restoration shop, click this link. By “muscle car cocktail party,” we mean a bunch of dudes standing around, drinking beer and talking about horsepower. When you and your buddies are talking shop, which one of you is the trivia champ? Are you the guy who knows every spec from every model of classic American muscle cars? Here are a handful of facts that may stump even you. Use them to show your buddies just how deep your knowledge runs. Like a 13th floor, it just isn’t there. The third generation Corvette had a long and glorious run from 1968 to 1982. Chevy waited until 1984 to release the C4. Some thought they had a radical redesign in mind, while others thought it was due to emissions complications. In the end, for whatever the reason, all but one of the 1983 prototypes were destroyed. And no, you can’t get your hands on that one, it’s in the National Corvette Museum. The modern area Camaro made a badass Bumblebee in the Hollywood blockbuster, Transformers. But it wasn’t the first mad science success; that belongs to the 1969 COPO Camaro. Chevy’s COPO series was meant for fleet sales, cop cars and taxi cabs. A few clever auto dealers figured out that the 9560 COPO all-aluminium ZL-1 427 V-8 could be ordered as a Camaro package, creating a light and mean muscle car that pumped out 550 horsepower during chassis dyno testing. Only 69 of the ZL-1 Camaros were made and they command as much as $400k at auction. In the late sixties and early seventies, NASCAR insisted that manufacturers make 500 of their race vehicles available to the public. Was this safe? Probably not, but it was good for muscle car geeks everywhere. The 1969 Mustang Boss 429 was a prime example. However, there was a tiny production problem: the engine was too big for the chassis. In order to fit the king-sized engine into the engine bay, Ford had to make a variety of alterations, including relocated shock towers and a smaller brake-booster. The retrofitted Boss 429 is a rarity among muscle cars and worth a mint. Go forth and astound with your new found knowledge! Or brush up a little more with this quiz. Click through to learn more about chassis dyno testing and our muscle car restoration services. Muscle cars—they all have a certain allure that has garnered attention around the world for decades. They’re depicted in movies, used in commercials and raced in venues across the globe. There are many history making muscle cars and muscle car restoration shops, but for this week’s post, we’re focusing on three all-time favorites that we see all the time in our auto restoration shop. While there is a blurry line for many between muscle cars and hot rods, we love both—so one of these may just fall into the hot rod category for some classic car lovers. These are just three classics among many that had an impact on the culture and manufacture of big engine cars. Tell us your favorite history makers if you think we missed some important ones. 1. ’49 Oldsmobile Rocket 88 – You have to give credit to a pioneer even if it doesn’t stack up against later generations. The Rocket ’88 was built in response to the post World War II hot rod craze. It took 12 seconds to reach 60 miles per hour. If we had dyno tested it, we bet it would have topped out at 135 bhp. But in its day, it was a beast. 2. ’68 Dodge Charger – You can ask someone who doesn’t know a single thing about muscle cars to name one and there is a good chance they will say, Charger. This bad boy cut the Rocket 88’s 0-60 time in half. 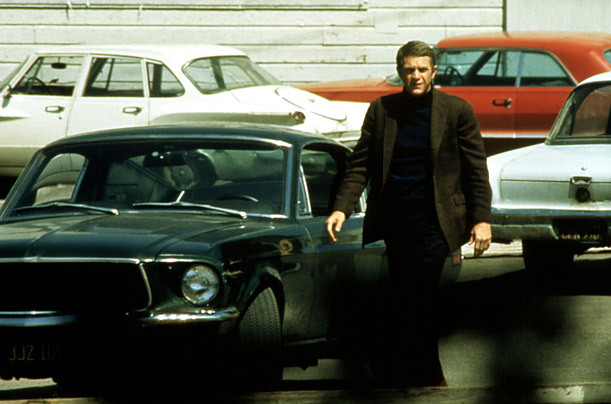 It was the bad guy’s car in Bullitt, and a year later, it became the one and only General Lee. History on top of history. 3. 2013 Shelby GT500 – We started with something old and we’ll finish with something new. This car is an embarrassment of riches; 662 horsepower supercharged V-8, 0-60 in 3.5s, a top speed of over 200 miles per hour. Many consider it to be the most powerful vehicle ever produced by an American automaker. Visit this link to learn about our auto restoration shop and services. Even though the M-series offers incredible upgrades to stock BMWs, for some people this is simply not enough. By taking their vehicle to an auto restoration shop, they can fine-tune the performance to maximize both speed and style. One car we will definitely see modified in the coming months is the 2014 BMW M4 coupe. Utility and performance are perfectly blended in the latest coupe from BMW’s storied M-series racing division. Replacing the traditional V8 that we have come to expect from the M series with a newly twin-turbocharged 3.0-liter V6, BMW’s latest flagship coupe cranks out a whopping 420 horsepower. 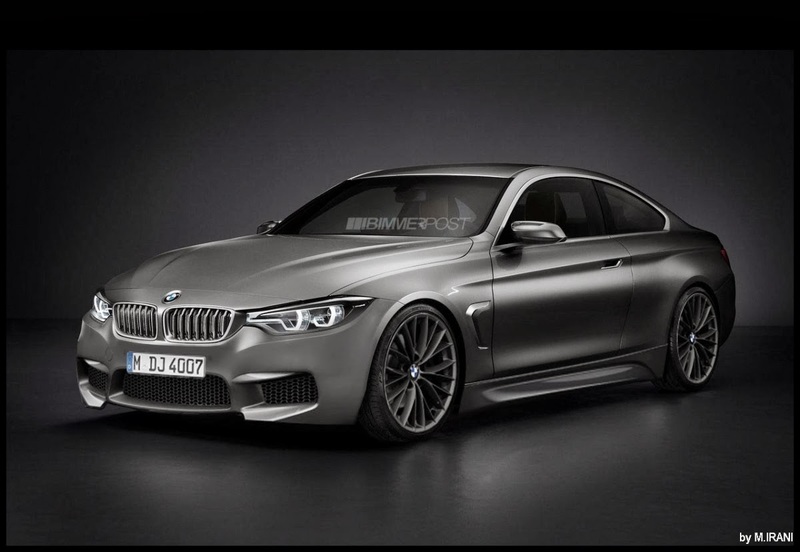 This monstrous engine of the 2014 BMW M4 goes from 0-60 in four seconds all while comfortably seating four people. The M4 is two full inches wider than the 435i coupe. This width gives it unprecedented handling, as well as custom designed body panels like the carbon-fiber roof. Measuring in as Bimmer’s widest coupe to date, it still weighs less than its predecessor – a first for BMW. Also new this year is an electromechanical steering system, replacing traditional hydraulics. If you are like many car enthusiasts, you may be wondering what the difference is between the new M3 and M4. This year, BMW has gone with a new naming convention – all even numbered models are sedans, and odd numbers are coupes (with some exceptions). It’s true – a muscle car restoration shop like Braun’s Automotive can help maximize the potential of your hot rod. Starting with an amazingly powerful car like BMW’s new 4 series gives these companies the ability to create some truly great vehicles. Expect these third party manufacturers to release their own variations of the M4 as 2014 rolls through. Before Duck Dynasty there was another set of famous beards, those belonging to rock icons ZZ Top. Front man Billy F. Gibbons is a big time hot rod restoration enthusiast. And in the 1980’s he decided to turn a classic ’49 caddy into something the hot rod world had never seen. He leaned on a couple of design gurus including Boyd Coddington to help bring his vision to life: CadZZilla. Gibbons wanted CadZZilla to blend classic features with futuristic body work. Boyd’s shop added a ’85 Corvette suspension to the ’49 frame. The body panels were sweeping and sleek; a comic book brought to life. CadZZilla debuted in 1989, after only six months in the shop. It was an instant hit and continues to be one the great achievements in custom hod rod fabrication. When and why did you fall in love with classic American muscle cars? Was it in your father’s garage? Was it the first time you heard the rumble a big block V-8 cruising past? Or was it at the theatre with a big bucket of buttery popcorn in your lap? Steve McQueen in that dusty ’68 Ford Mustang 390 CID Fastback like the king of cool. TIME magazine put together a photo gallery of great muscle cars across great and not so great American movies. We cycled through the gallery a few times, we picked and unpicked favorites. In the end we just couldn’t decide. The General Lee? Naw, to easy. McQueen’s ‘Stang? It is damn cool. Give us a hand here. Take a look and tell us your favorite in the comments section below.